Federal scientists say there is a 75 percent chance of average or above-average precipitation between January and the end of March for California. The San Jose Mercury News reports the National Oceanic and Atmospheric Administration issued a report on Thursday predicting a wetter than usual outlook during the first three months of the year. It's the first time in five years that such a prediction has been made. Still, it's unlikely the historic drought will be over this year, according to the National Weather Service. It will take about 11 trillion gallons of water to recover from California's continuing drought, according to an analysis of NASA satellite data released this week. 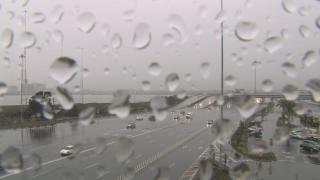 The weather service says more rain is coming this weekend in most Bay Area cities. Then it's expected to be dry through Christmas Day.